The Yorkshire Team Foil Championships will be taking place on Sunday 7th July at – Penistone Grammar School, Huddersfield Road, Penistone, Sheffield S36 7BX. This is the Team Foil Championships for the Yorkshire Region of the British Fencing Association. Members of teams competing for the Yorkshire trophies should be either normally resident in Yorkshire or members of clubs within the Yorkshire Region. All participants should be members of the British Fencing Association and must have been 13 or older on the 1st January 2013. There will be medals for the top 3 Men’s and top 3 Women’s teams. Teams may be mixed, though mixed teams will compete for the Men’s prizes. The event will be run using a system of pools followed by direct elimination in which all places will be fought for. A good days fencing is absolutely guaranteed! Sheffield Buccaneers are the current holders of the trophy, come and try to take it off us!!!!!!!!! This entry was posted in Uncategorized and tagged yorkshire team. 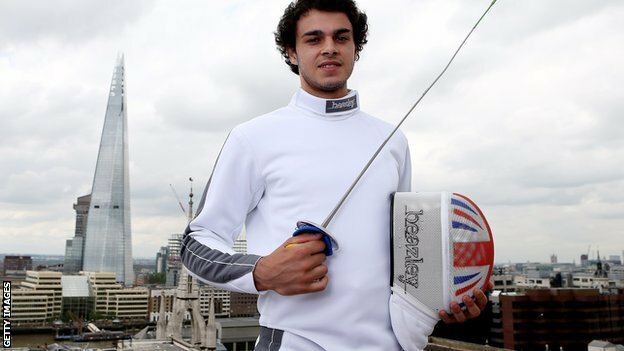 Olympian Husayn Rosowsky has been selected to represent the British Universities and College Sport Fencing team at the World University Games 2013 in Russia. Rosowsky will be making his second appearance at the World University Games, after finishing sixth in Shenzhen in 2011. He has since become senior British champion and competed for Great Britain at the London Olympic Games in 2012. Rosowsky, of University of Greenwich, is joined by Marcus Mepstead of London School of Economics and Politics and Alex Tofalides of University College London for the tournament in Kazan. The fencing trio will form part of a 175-strong British team comprising athletes from artistic gymnastics, badminton, football, judo, rugby sevens, shooting, swimming and tennis. The World University Games is the second largest multi-sports event in the world, after the Olympic Games, with 13,000 athletes representing 170 countries.